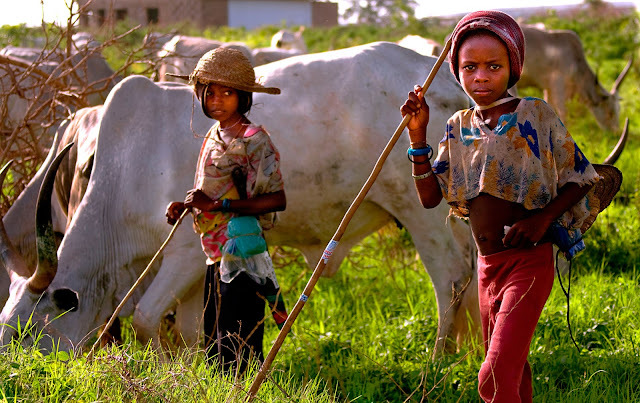 It is not only Fulani that are nomadic cattle rearers, though they are the majority and many cattle are owned by Yoruba being driven by Fulani. The problem is that nomadic cattle rearing is a menace to farmers wherever it is practiced worldwide. The solution is simple: cattle must be ranched. Without this, farming will remain unattractive to many. I don't believe ranching cattle is that difficult. If the Fulani do not start it, they will lose out in the end as other people will eventually do it. People are always talking about Ilorin as a member of a Caliphate. There is no caliphate in Nigeria and if there is no Yoruba land is part of that caliphate. Even Sheu Alimi did not muster the courage to declare himself Emir of Ilorin not to talk of affiliating with Sokoto. The Jihad was mainly some renegade Yoruba Muslims attempting to subvert other Yoruba under Islam which failed to the extent that Ilorin became tributary, not to Ibadan but to Offa whose government installed and removed Ilorin chiefs at will. I think four times. The Nupe ruled the Oyo in the past and the Borgawa came close to doing so. That some Fulani ruled Ilorin briefly but were not able to rule even the Yoruba in Niger state does not make Ilorin a Fulani town. No part of Yoruba land is a Fulani town. There are Yoruba of Nupe descent as there are Hausa of Yoruba descent, so some people might consider themselves Yoruba of Fulani descent but when the British arrived in West Africa, no part of Yoruba land was under Fulani control. The protection agreement that Ilorin signed with the British is still there and is still valid. It was signed by a descendant of the late Alaafin Abiodun. Not a Fulani. People of Fulani descent are titled in Ilorin as are people of Hausa descent. It is so even in Lagos where the Oshodis are Nupe descent but all these people are now Yoruba and DNA will confirm. Since the Sardauna elevated the Emir of Ilorin for being of Fulani descent, Governor Lawal too decided to elevate the Magaji Aare to first class for being of Afonja descent. A decision reversed by Saraki, which will be reversed again when an Afonja descendant becomes the Governor again. What do you think will happen if the Ajikobi family produces the Governor? Given that the protection agreement with the British was signed by them and is in their custody which makes Ilorin technically their property. Thank you Prof, they should take note that. "Not all Pastoralist are Fulani's and not all Fulani's are Pastoralist". Federal Government should re-visit the old grazing route (Burti) allocated to the pastoralist before, which is now develop to cities. Miyetti Allah cattle rearers association, should warn the bad eggs among the pastoralist for causing havoc in the land. Thanks for shining some light on the subject. If the Obadiah Mailafiya that you've quoted is the former CBN Deputy Governor, I will be hugely disappointed because he is one of my favourites. Maybe he has been living a double life, contributing different stuff to different platforms. Well said Prof. It's obvious that the Fulanis have become endangered species in Nigeria. Deliberate efforts are been made every day to demonize the Fulanis wherever they may be in this country. Each time there are communal clashes involving herdsmen the attention of the media is drawn and no one is interested in finding out the root causes of the crises. Accusing fingers are always pointed at the Fulanis. The wave of cattle rustling going on in the country which is ravaging the Fulani socio-economic life is never attended to because the Fulanis are at the receiving end. Obadiah Mailafiya should tell us the motive behind the crusade his kinsmen have been carrying out continuously in Taraba State before talking about the Fulani jihad. It's unfortunate that people like him have failed to live above primordial sentiments. We are all tribalistic in Nigeria. Farooq Kperogi's post did not address the issues. Is he saying that Chief Olu Falae doesn't know Fulanis Herdsmen when he sees them? Are we going to keep glossing over the issue until the atrocities of the herdsmen turn to a full blown war between OPC, Agbekoya and the Fulani Herdsmen? But will must not be distracted from the fact that the murderous activities of Fulani herdsmen must be tamed. Kperogi shouldn't justify or rationalise criminality of any group to gain cheap popularity.